Skoda has some of the best premium cars in the market but unfortunately people in India prefer lower priced options as Indian buyers demand a bang for their buck. While it is a great news for entry level cars, the premium segment will be badly affected by this understood inclination. Skoda is targeting a 4 % market share in the next five years but if you look at the current prices of their products, it will be a little hard to achieve. A while back we heard some rumours that Skoda might discontinue Skoda Fabia, its only hatchback offering, but then it wasn’t believable enough. The latest buzz around the Fabia is that Skoda India is going to increase Fabia localization to maximum possible levels and will cut the prices further to make Fabia a lucrative option when it comes to value for money factor. “The immediate focus is to create the right organizational set up and changing or rather improving our perception (in the marketplace) on cost of ownership. An all new highly localized Fabia will be cornerstone of that strategy”. As of today the localization level of Skoda Fabia is close to 50 % but to achieve better revenues the company is planning to take it to 80 to 90 %. 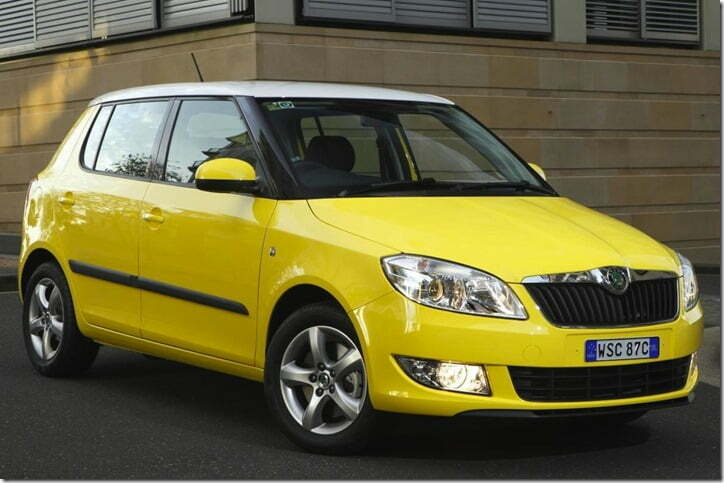 The realization has come late as Fabia is selling disappointingly low numbers now a days (291 units in August 2012). Being an entry level hatch, it should sell a few thousand units each month. Once the localization is increased, Skoda expects to sell 75,000 to 100,000 units per annum. Skoda has started working on the next generation 2014 Skoda Fabia, which is scheduled to arrive in 2014 will be a huge improvement over the current model. Back in 2011, Skoda revised the prices of Fabia and this is the second time they will be doing so. Skoda’s parent company Volkswagen recently revised the prices of Polo and Vento, hence a step like this on Skoda’s end is expected. Skoda’s after sales service is also an area of concern and it is addressing the problem and focusing on improving its after sales service. It will also expand its dealership network and will bring new models in the months to come. We will keep an eye on the developments on the increase in localization of Skoda Fabia in India and will keep you posted.